There has been much hype in the health industry recently about the merits of ‘cleansing’ or ‘fasting’. If you care to research this topic further there is alot of literature supporting the merits of both to achieve optimal health. Results range from greater mental clarity/focus to decreased blood pressure and possibly even slowing down the ageing process. Fasting for even 8 hours, causes the body to dip into glucose stored in the liver and muscles as a source of energy. As well as aiding weight loss, Dr. Razeen Mahroof, of the University of Oxford in the UK, explains that the use of fat for energy can help preserve muscle and reduce cholesterol levels. “A detoxification process also occurs, because any toxins stored in the body’s fat are dissolved and removed from the body,” he adds, noting that after a few days of fasting, higher levels of endorphins – “feel-good” hormones – are produced in the blood, which can have a positive impact on mental well-being. There is also some research which lends itself to the not so positive aspects of both. Some evidence would suggest it slows down metabolism, lends itself to overeating and can also cause dehydration. Before embarking on any fast or cleanse it is important to identify the reasons as to ‘why’ you would like to do one. And specifically the implications it may have for your health in the short and long term. Endongenous – (made from inside of you) hormones, brain chemicals, cellular waste from fatigue exercise. Or chemicals from the good/bad bugs that live inside your stomach and membranes. Exogoneous – (comes from outside) hormones, pollution, natural or synthetic food chemicals, poisons, venoms. Not to mention synthetic or natural drugs, inhalants, cosmetics, dental fillings, vaccinations, pesticides, electromagnetic radiation and fertilisers to name a few. The stuff we make inside of us can leave us lacking energy and nutritional resources to deal with poisons, pollutants and toxins from the outside. 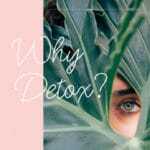 If your generally healthy, detoxing can help manage issues such as fluid and mucous congestion, constipation, sluggish digestive function and dysbiosis (imbalance of the intestinal bacteria). It may also help with the management of mild infections such as boils, fungal infections, parasites and even common colds, flu’s and sinusitis. Those who support detox diets recommend no more than 4 x per year or with the change of seasons. If 4 x per year is a little daunting for you then look at 2 per year one in Autumn and one in Spring. Most serious detox plans call for 7-14 days . There are however, juice cleanses or mini detoxes out there that are 1-2 days per week or 3 x a month. Symptoms that you need to do a detox include frequent fatigue and constipation, brain fog and an overall lack of focus. Other symptoms can include feelings of depression, sleep disturbances, headaches and sore muscles. Skin conditions and rashes along with allergies and sensitivities can also indicate it is time to do a detox. 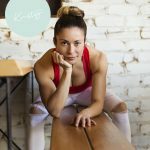 The hardest part about detoxing is understanding how to adjust your exercise routine. Generally most detoxes will leave you feeling low in energy especially for the first 1-3 days. This is due to a reduction in calories and not enough carbohydrates, proteins and good fats to replenish muscles and energy stores after exercise. Plus, a detox itself requires energy so your body is already working overtime which can lead to feelings of tiredness. That being said, the right exercise paired with the right type of cleanse can actually enhance your results. Your goal, whilst on a detox is to let your body do what it needs to do, that is rid itself of toxins. The right type of exercise can actually facilitate this process, but the wrong type, or too much exercise can detract from it. Exercising provides a great pathway for detoxification to naturally occur simply by sweating and breathing. Sweat increases our blood flow to our working muscles and carries away damaged cells which make us less sore after a workout. It also dials up heat-shock proteins (a special set of responders that safeguard other proteins from damage) repair any damaged ones and produce new ones. Exercise also stimulates our digestive and lymphatic systems so we expel toxins quicker and more efficiently. The key whilst detoxing/cleansing is to pick the right cleanse and pair it with the right type of exercise. Yoga (Hatha or Gentle Yoga): The purpose of Hatha yoga is to stretch and restore energy due to it’s relaxing nature. The more intense cleanses can be completed whilst still practicising Hatha. These include 3-5 day juice or aw food cleanses. Opt for juices full of vital greens to restore iron levels or juices full of red beets, oranges and carrots to stimulate and sustain you. Power/Hot Yoga: The more dynamic Yoga’s do need more energy to perform and usually more sweat to be expelled. For these types of mind/body classes opt for a more protein rich drink to aid in recovery, especially taken after the workout itself. Add ingredients such as almond or any other nut milk, coconut water for hydration or a pea protein to assist with any breakdown in muscle. Weight/Strength Training: Similarly to Power Yoga, heavy strength work can cause tiny tears in the muscle fibres which require protein rich foods to repair them. Include a higher level of protein in your detox/cleanse if you would still like to weight train. Some of these foods include green leafy vegetables such as kale, spinach, broccoli, sprouts, brussel sprouts. Fruits to include are avocados, guavas, apricots, peaches, kiwi fruit, blackberries, oranges, bananas, rock melon and raspberries. Ensure you supplement your shakes with a good quality pea protein powder. Walking/Low Impact Exercise: Even low intensity exercise still requires energy, ensure walks and low impact exercise are no more than 45-60 minutes in duration. You may want to add metabolism boosting spices such as cinammon or jalapenos to kick start your weight loss . Citrus fruits like limes, oranges, grapefruits also have chemical properties that help decrease insulin levels and promote weight loss. Not to mention, broccoli, cabbages, cauliflower and bok choys being cruciferous vegetables that help jump start your metabolism and assist with weight loss. Running/High Intensity/Cycling/Endurance: For endurance or high intensity activities such as running or cycling an intensive 3-5 day juice only cleanse is probably not optimal for replenshment and repair. Food is required for these type of activities especially to sustain energy and to repair muscle and cells. Alongside food, green juices are good because they are high in potassium which helps with muscle contraction and prevents cramps. Ensure you get plenty of raw solids too—like avocados, nut butters, nut milks, whole fruits, and vegetables. Aim for a minimum of 1500 calories a day and add some pea protein for muscle repair. Coconut water will help for added hydration and maintaining your electrolyte balance. Swimming/Pilates: Toning exercises like swimming and pilates still get the cardiovascular system going. Try adding ‘super foods’ such as goji berries, acai berries and spirulina to a vegetable mix for extra vitamins and minerals. Lastly, throw in a blend of almonds, plant protein, dates and omega-rich flax to boost tissue repair. The best things we can do on a daily basis to help detox our bodies is to eat a well balanced and sustainable diet. As mentioned eat natural whole foods, reduce alcohol and sugar content and let the body do what it does naturally. The body already has a detox functionality already built in via our lungs, kidneys, liver, gastrointesinal tract and our immune system. By making healthier lifestyle choices to drink good quality water and eat good quality food we are supporting our natural detoxification daily. Some would say this negates the need for further cleanses or detoxes.